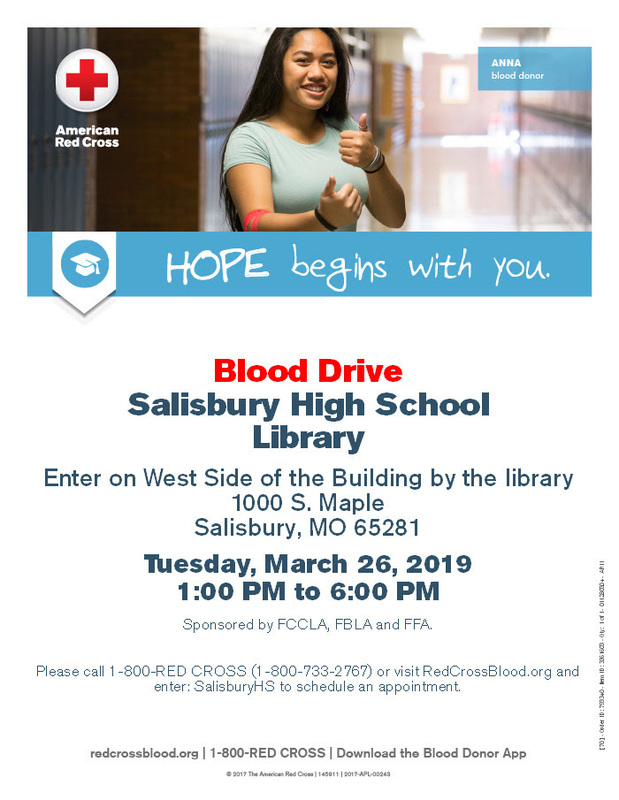 The Salisbury FFA, FBLA, and FCCLA Chapters will be hosting a Blood Drive on Tuesday, March 26, 2019, at the Salisbury High School Library. Donors are asked to enter the building on the West side of the school that day. Come out to donate and support our Chapters.